Edmonton Electrical has been the source of quality electrical work in the Devon area for many years, and through that time has had the pleasure of bringing our services to hundreds of residential and commercial properties. Whether your looking for professional electrical services in your home, or are in need of commercial electricians, you can be sure that a quick and simple phone call to the offices of Edmonton Electrical will provide you with results. We are available for all your wiring needs, providing efficient and affordable results. Whether you’re building a new home or need wiring services for a new addition to your current home, the initial wiring is something that needs to be taken care of by licensed electricians. Not only is the for the safety of those doing the installation but also to ensure that the results are up to code and that your property can depend on the wiring in place. Our Edmonton electricians have been the source of quality in the region for many years and bring you a high level of experience and expertise in all of the services we provide. When looking to add more to your home in terms of items that rely on electrical power, you can count on the expertise and capability of Edmonton Electrical professionals. Whether you’re looking to add a new ceiling fan, light switches, dimmers, or a whole host of other possibilities, choosing the local experts at Edmonton Electrical will not only bring you results you can depend on but also deliver them in a speedy and reliable fashion. We have the capability to bring services across Devon with the same haste that we do with any of the offerings we bring to Edmonton proper. 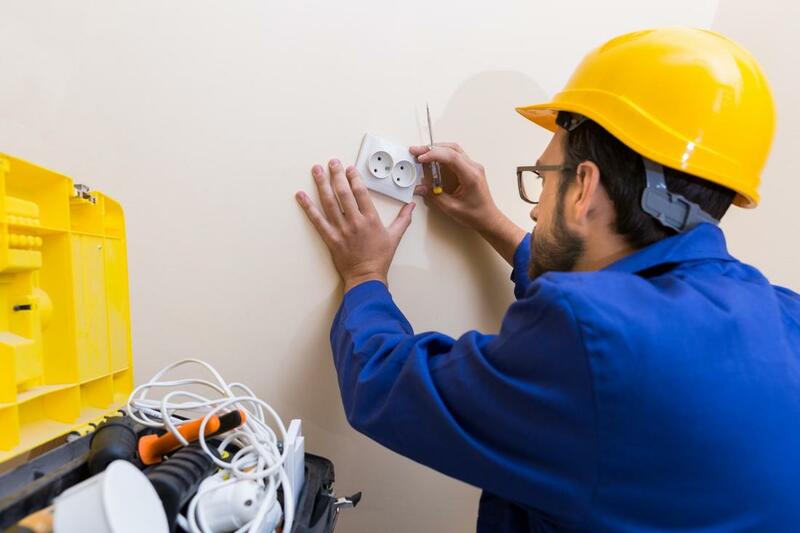 If your property has been suffering from low voltage or intermittent power issues, getting the assistance of a professional electrician can provide you with the information you need. All it takes is making the call to the experts at Edmonton Electrical, which will provide you with quick and reliable response that will have your inspection scheduled quickly. We aim to provide the best in Edmonton electrical companies, while ensuring that wherever you are in our service radius, that you have access to fast and efficient services. If you need help in your Devon property, you can count on our professionals. When making the call to Edmonton Electrical, whether in our home city or in the Devon area, you can be sure that we provide you with the speed and efficiency you’re looking for when it comes to carrying out your needs. We provide you with the ease of booking you’re looking for, the capability to speak directly with a knowledgeable electrician and the fastest means of results possible in the Edmonton and Devon areas. When looking for benefits across all aspects of services your residential electrical companies provide, you can count on the experts at Edmonton Electrical for results.